Over-sized contemporary living, boutique block of only 16. 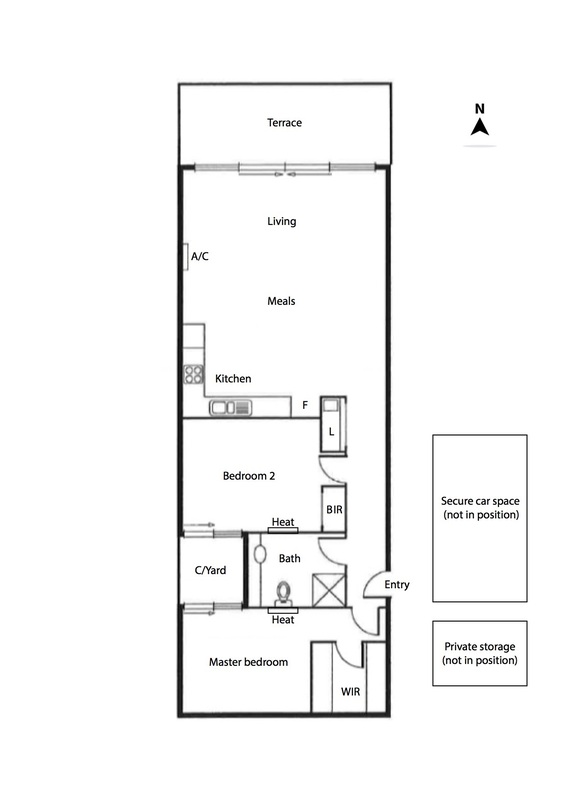 Ideal home or blue chip investment, outstanding location (93 Sqm). • Large master bedroom (built-in-robes), private internal c/yard. • Sizable second bedroom (built-in-robes). • Undercover entertainer’s balcony (North facing). • Modern kitchen (Miele appliances). • Stylish finishes & detailing throughout. • Colour video intercom, ample storage. • Car space on title plus storage cage. Unbeatable position, meters from all transport, Monash freeway, Yarra River bike trails, vibrant Glenferrie Road shops, cafes, nightlife, parklands & the Melbourne CBD.